Looking for recycled plastic planks? Recycled plastic lumber planks (or recycled plastic wood as it is sometimes also, incorrectly, known) is the basic material from which much of the British Recycled Plastic range of environmentally friendly maintenance free furniture and sustainable construction products are made. Our range of recycled plastic lumber is rot proof, impact resistant, algae and moss resistant as the profiles have a skin that paint cannot penetrate while graffiti can simply be wiped clean. Designed as an alternative to traditional construction materials, recycled plastic planks are impervious to water, do not rot, split or splinter, and allow for the easy and quick construction of fences, revetments, boardwalks, steps and pontoons, to name but a few applications. 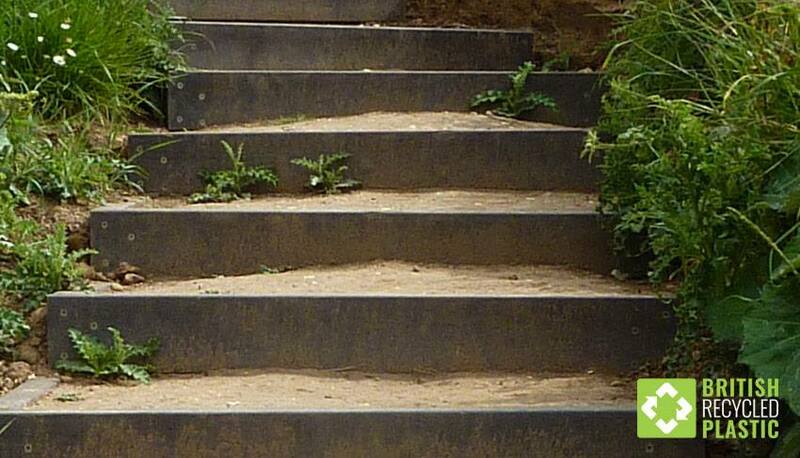 This also makes it the ideal material for areas subject to flooding or standing water. British Recycled Plastic offer an extensive range of recycled plastic lumber planks of all sizes, along with decking boards and other profiles designed for civil engineering. Coupled with the major positive environmental benefits, recycled plastic lumber planks can be used for many applications traditionally solved using timber, concrete or metals. 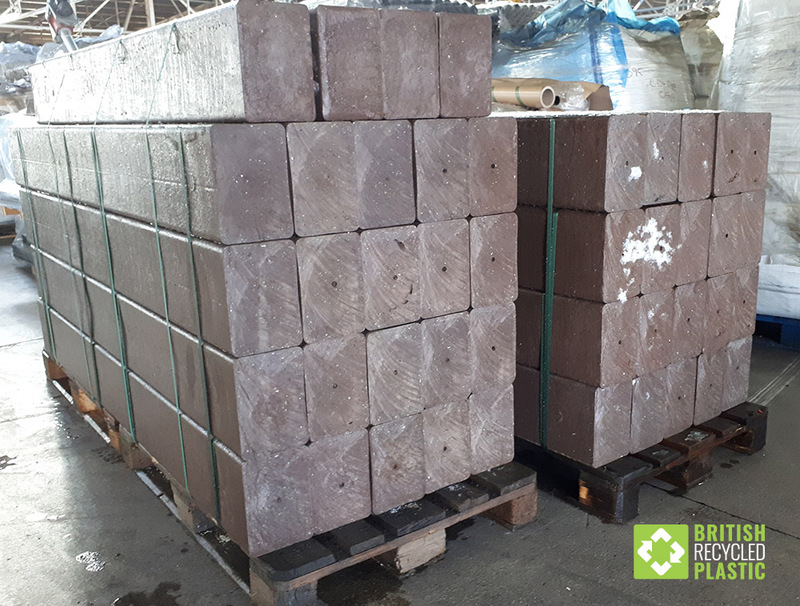 It provides an economical and environmentally sustainable alternative to these materials, lowering the carbon footprint of construction projects compared to many traditional solutions. 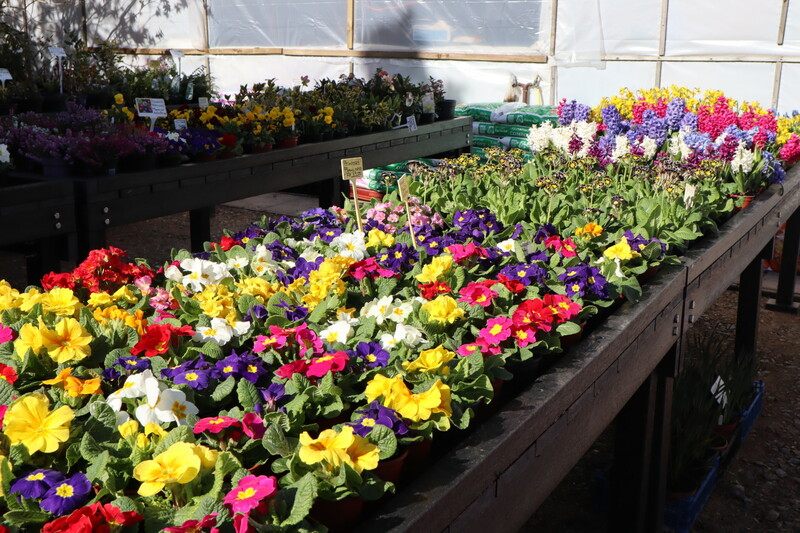 This customer decided to concentrate on future proofing their investment when refurbishing the fixtures of their nursery and farm shop. As a business with a strong focus on sustainability, they naturally chose recycled plastic to replace rotting wooden platforms. The refurbishment process gave our client the opportunity to re-think their requirements. Instead of replacing their tables like for like, they moved towards a modular, flexible system using custom cut lumber which allowed them to build units that can be dismantled and moved as the growing business requires. 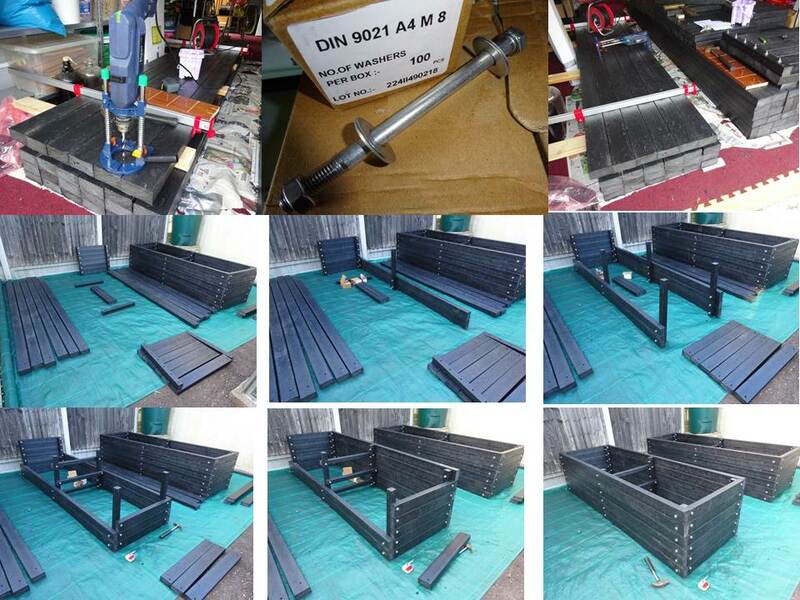 Although we do supply flat packed kits for raised beds in predetermined sizes, this customer had specific requirements so opted for ordering the recycled plastic lumber planks necessary to do the job. 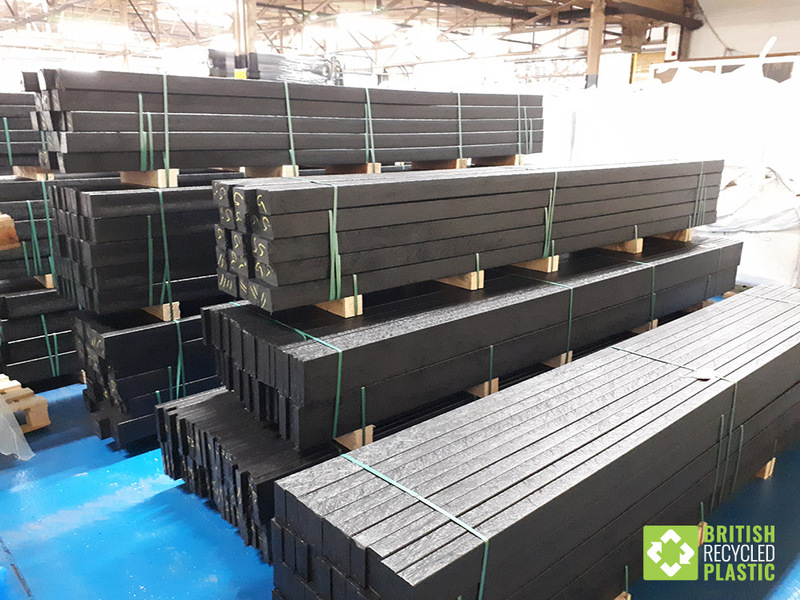 If you need our recycled plastic planks at other lengths, less than the standard 3.1 metres, it can sometimes be more convenient for us to pre-cut them in the workshop before dispatch for you. There is a £1.00 cutting charge per plank, but if this means that the planks are reduced to less than 2.4 metres, this means you will save money on transport as they can be shipped on two pallets (1000mm x 1200mm each) rather than three. It is a case of sitting down and working it out. If in doubt, just send us a lumber list and we will send you a quote based on this. 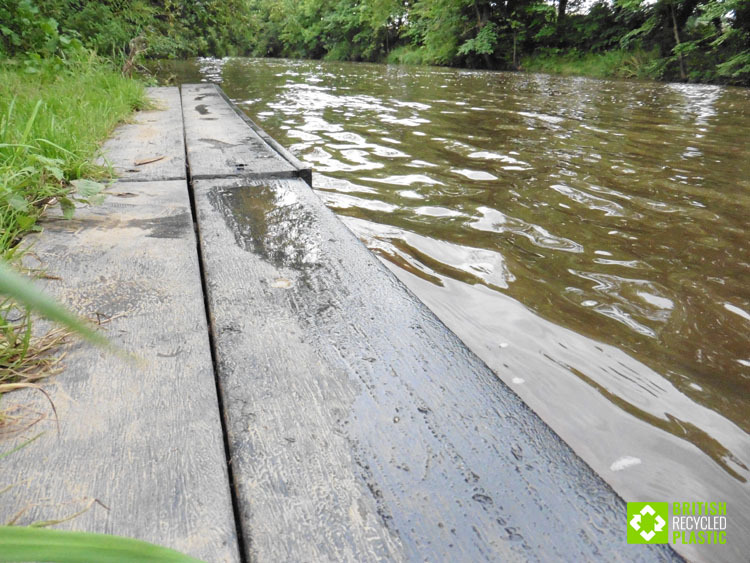 Absolutely perfect for marine environments due to being completely non-absorbent, this customer, a rowing club, decided to wisely use our recycled plastic planks to create an additional landing stage for their boats on the river. They have a large, purpose build landing stage outside the clubhouse but needed something they could install and forget until they needed it for busy weekends to get rowers into the water faster. Of all of the uses for our recycled plastic planks that we’ve seen over the years, this remains one of our favourites. Faced with the constant erosion of the coastal path along the the North Sea, the Council of the East Riding of Yorkshire enlisted the help of their local conservation trust to build something a bit more permanent but that would also have a low impact on the environment. Read more here about how some of the volunteers then constructed 90 frames offsite in a workshop before bringing them out to Flamborough where they were fitted together to make long lasting steps. 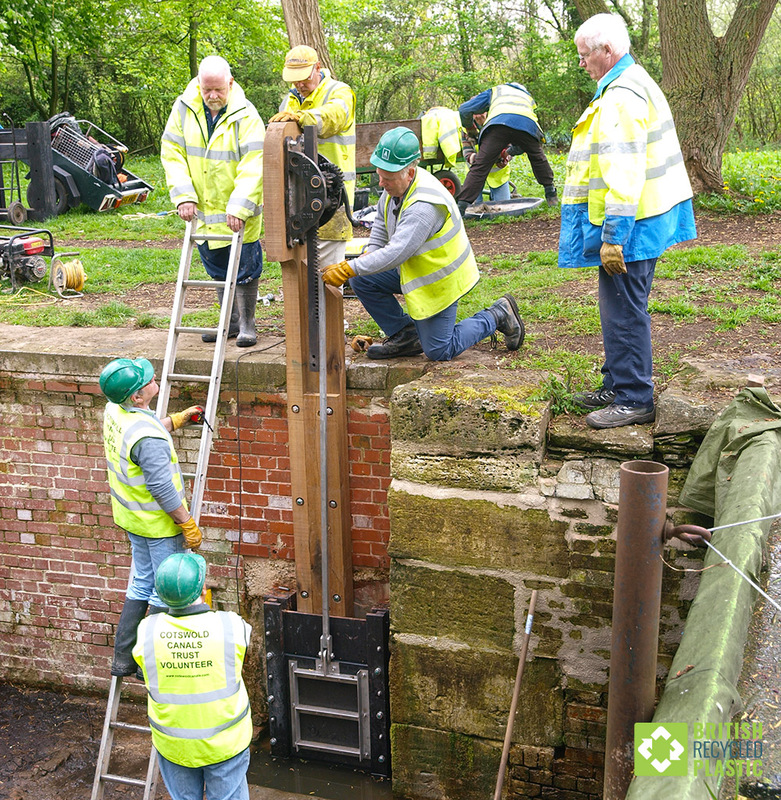 Taking advantage of the great strength and 100% waterproof properties of recycled plastic, this canal trust build both lock gates and the retractable paddles out of recycled plastic for use in this canal near Stroud. Using recycled plastic means that these locks should remain free from any maintenance for decades as the material will not rot, split or decay in any way. Lead engineer, Ron, from Cotswold Canals Trust praised the material’s robustness but recommended that all fixings used are stainless steel. You can watch a chat with him here. Once it’s been delivered, how do I store lumber before I start working with it? Will they ever get splinters or crack or rot? They will never splinter or crack or rot if worked correctly. How do I clean lumber? You can give them the occasional wipe down with a damp cloth or blast them with a jet wash once a year to get rid of things like tree sap. What kind of plastic are they made from? A mix of polyolefins; mainly HDPE and LDPE from most of the waste plastic produced by Western Scotland’s farming community. Typically this would be hay bale wrapping, silage wrapping, crates and packaging. How long does lumber last and do you offer a guarantee? We’re not sure quite how long it lasts, but probably around 100 years. All that is bad about plastic lasting a very long time is also good about plastic lasting a very long time. 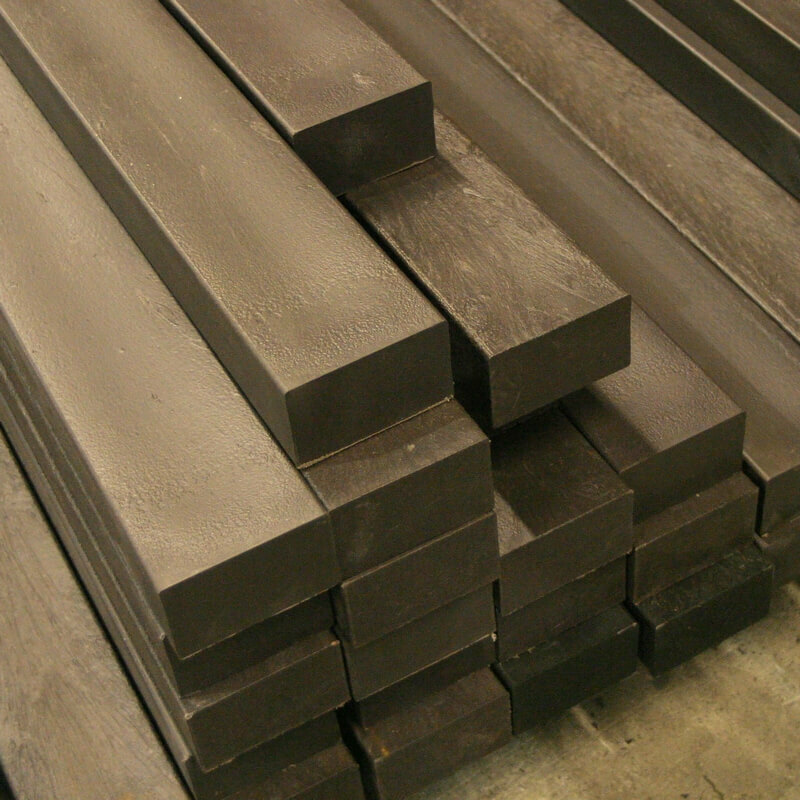 If the lumber is treated properly we are happy to guarantee it from manufacturing defects or issues for ten years.